“Guests of our wedding all commented on how lovely it was that our friend married us...They were shocked to hear we had only known you a few short months! They assumed we had been friends for years because the ceremony was so heartfelt, personal and funny. You have a natural knack of understanding and appreciating a story and a couple’s needs- making our journey to marriage all the more fun, and easy. Thank you for translating the essence of 'us' into the most perfect ceremony- one that blew everyone’s socks off! 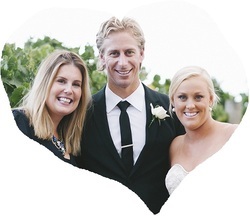 “We could not have been any happier with you as the best celebrant on earth!!! Maybe we are slightly biased…Although one of our guests told us in tears at the reception that in her whole life (50+ years) she had never heard a more heartfelt and meaningful ceremony. 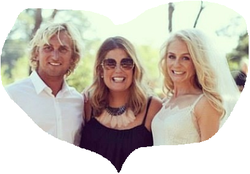 “A huge thank you for being the most amazing celebrant, wedding organiser, calmer of situations and problem solver consultant! 'Celebrant' does not adequately describe what you do, as it goes a long way beyond that. 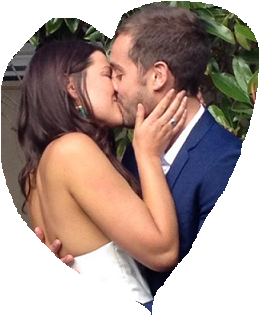 “Getting married only 34 days after our engagement (so kind of rushed! ), the ceremony was the only thing we were quite nervous about. However, from the moment we contacted Jess, we felt totally at ease. We live in Sydney, so we had a Skype date with Jess so we could fill her in on us. 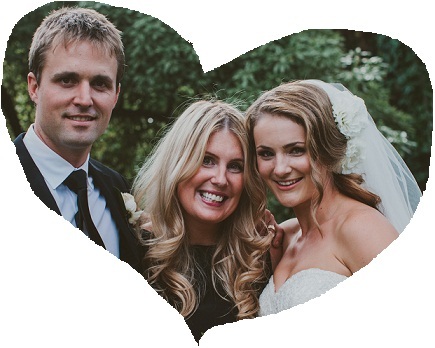 When Jess emailed through what she had written for the ceremony we were blown away. She had captured our story so perfectly that we didn't change a thing.